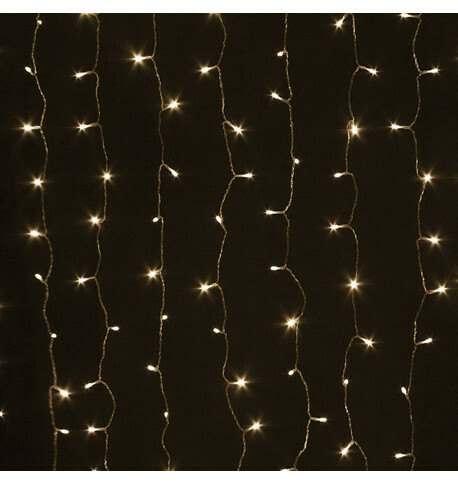 Our home range low voltage curtain lights on clear cable are perfect for creating walls of beautiful twinkling lights at Christmas, Parties and Events. 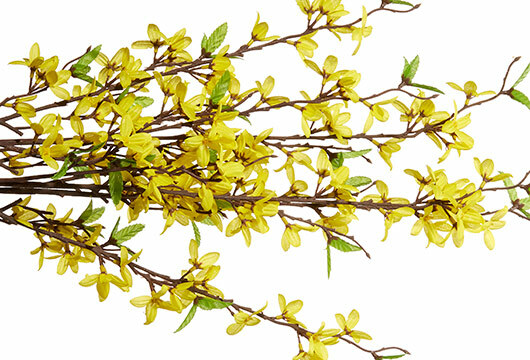 The cables are lightweight and easy to arrange. 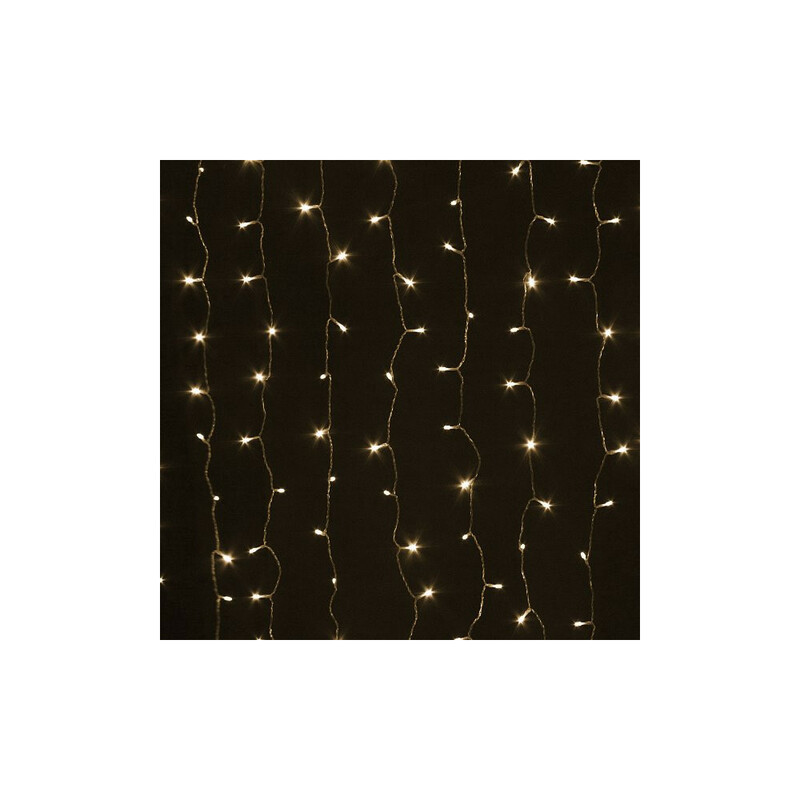 These lights form part of our Home Range which means you can use them together with our fairy lights, icicle lights and net lights to create fabulous light displays. 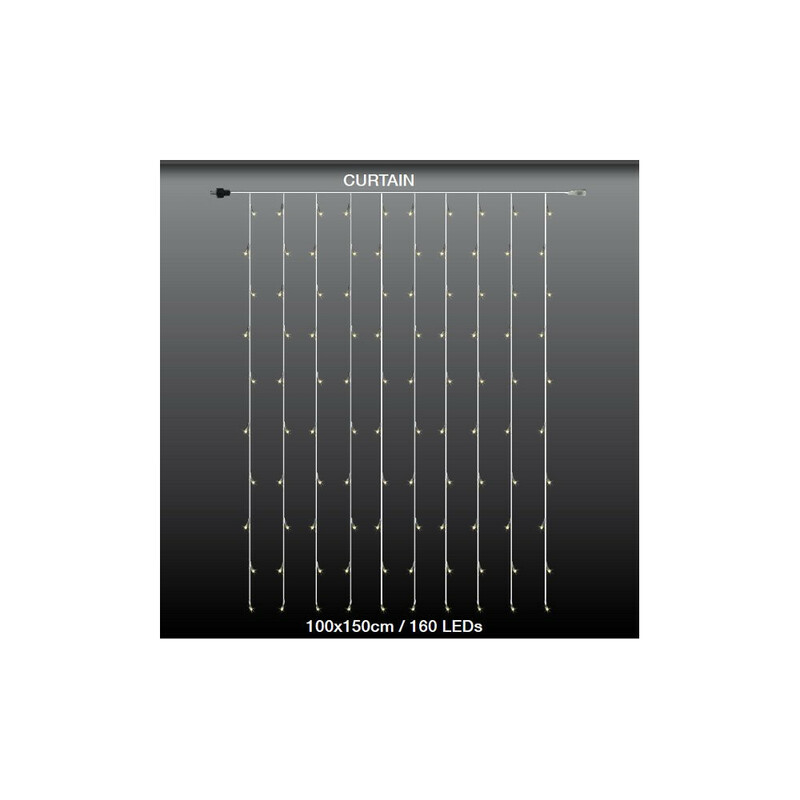 Curtain Lights can look amazing hung in shop windows or interiors to attract customers into your business. 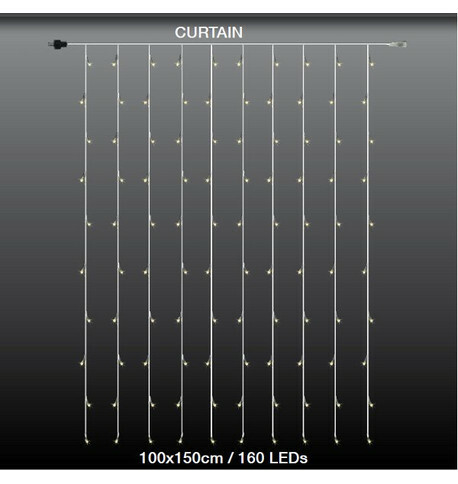 Each curtain is 1m wide and 1.5m drop with 160 LEDs. Each set includes a starter with in-plug transformer, 5m wire from plug to 1st bulb and extensions up to selected curtain size.